Updates will start rolling out on January 9th, 2018, and may take up to a week. 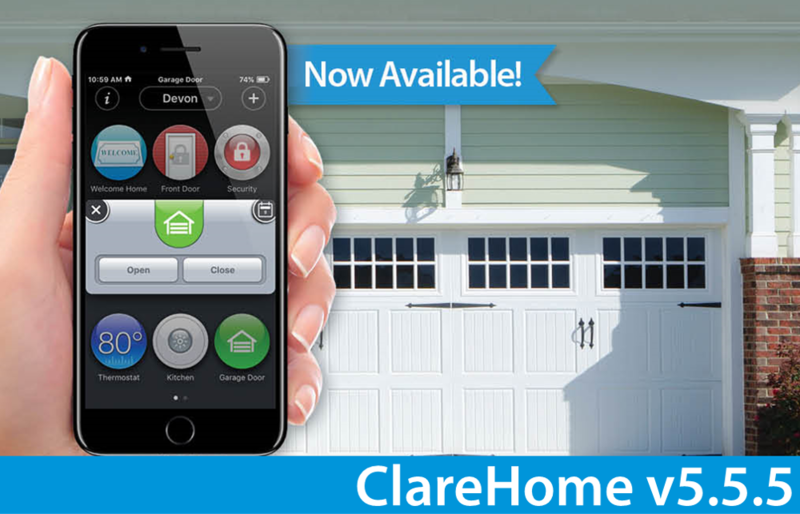 Authorize your Chamberlain or LiftMaster MyQ-enabled garage door to work with your ClareHome system! Here are the steps to get started with creating an account, authorizing your subscription, and adding the MyQ garage door to your ClareHome system.